Netflix have announced at the Television Critics Association summer meeting that they will be rolling out a new Marvel comics series every six months. 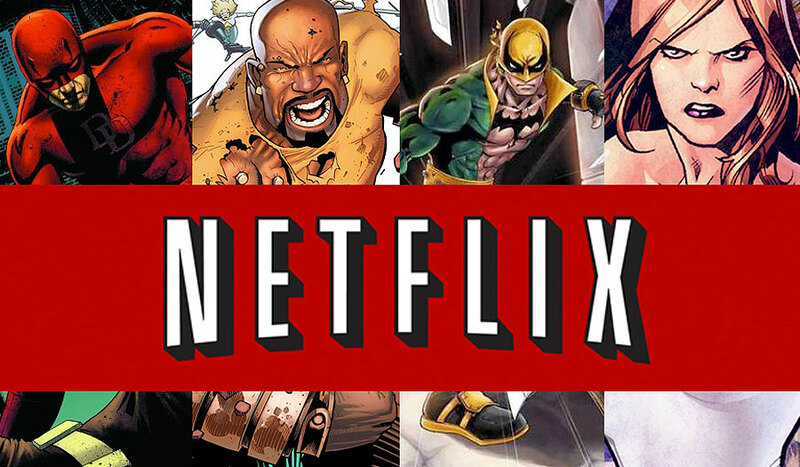 Marvel and Netflix have teamed up to bring at least four new shows to the streaming service, and a miniseries focusing on The Defenders, a street-level styled Avengers team. The first to debut of course was Daredevil, which premiered in April. Jessica Jones is next on the roster, followed by titles for Iron Fist, and Luke Cage. There are also rumours that Punisher may also get his own stand-alone series, after it was announced Jon Bernthal would be playing Frank Castle in season two of Daredevil. Brilliant news, if Marvel and Netflix can create a Defenders series with the same look and feel of Daredevil, I’m sure it’ll be a massive hit. I just hope Daredevil won’t be the only character to don his costume as he’ll look pretty stupid being the only one out of the four of them wearing a mask. If this becomes a hit it could open up the flood gates for the introduction of all sorts of heroes. I remember reading the Defenders comics when the likes of Doctor Strange and Nighthawk were members and I think I even remember Namor the Sub-Mariner were members of the team at one time. I won’t get too carried away though as Doctor Strange is definitely tagged for the big screen and I believe there’s even a rumour that Namor is too. But this could easily be a platform that Marvel could launch interest in other heroes of lessor names. Heroes that have at one time or another been associated with the Defenders in the comics. To be honest the list is endless, which when you look at some of these names it kind’a points to the idea that I’m going in the right direction and this series would be used as a platform to introduce heroes to the general viewing audience!